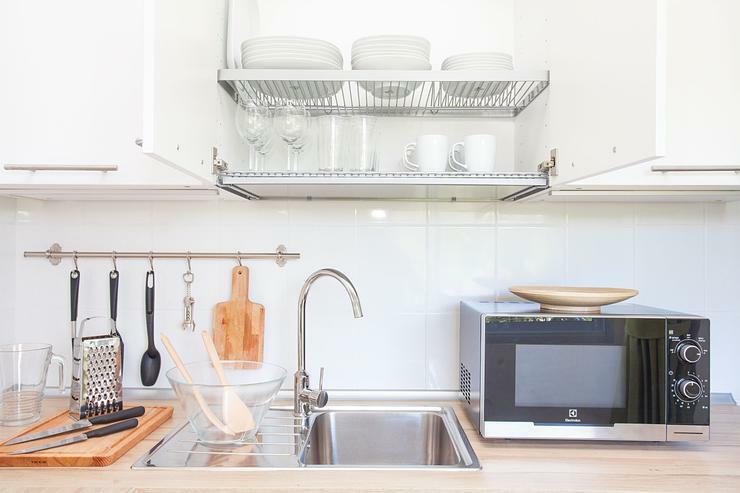 This summer rental comes with a number of spaces you can retreat to, and a convenient second kitchen beside one of the bedrooms. 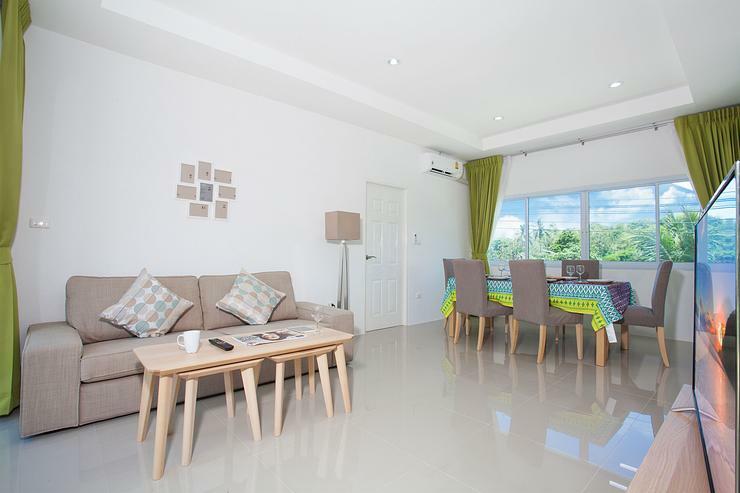 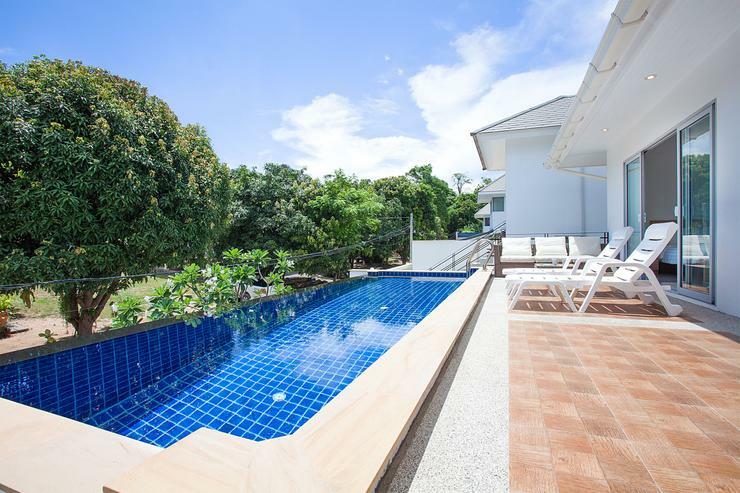 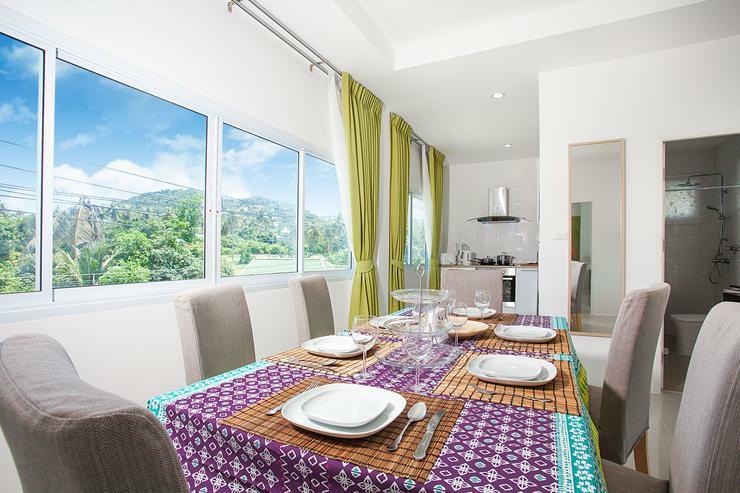 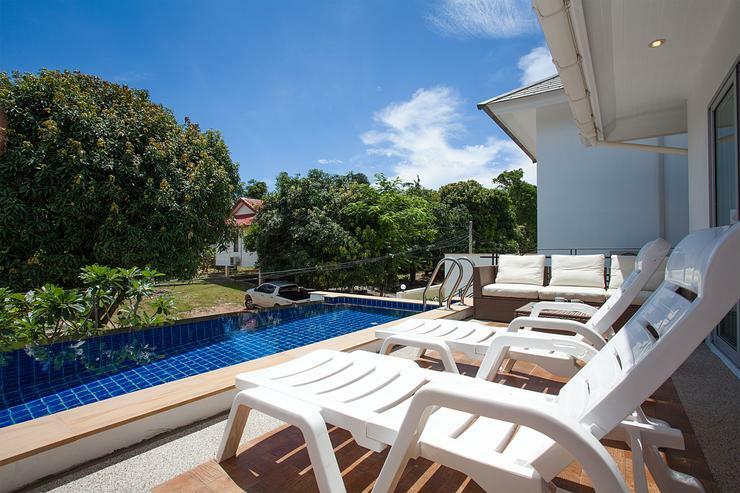 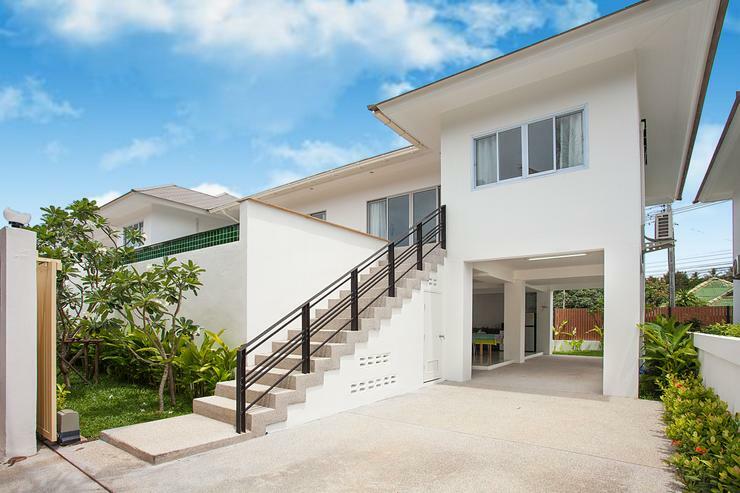 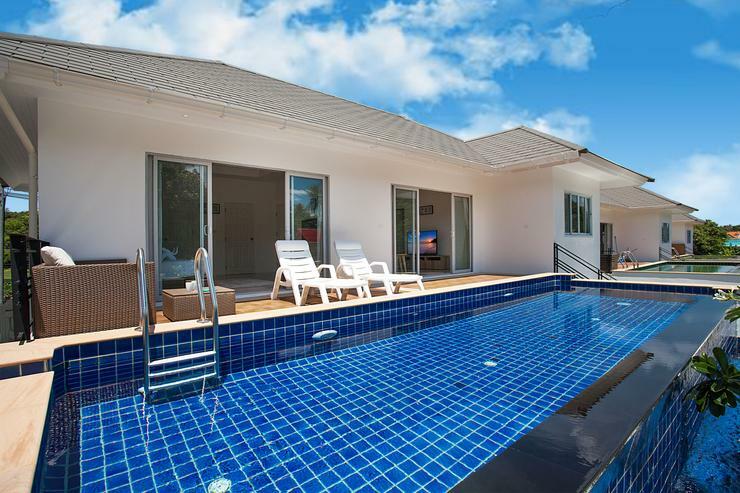 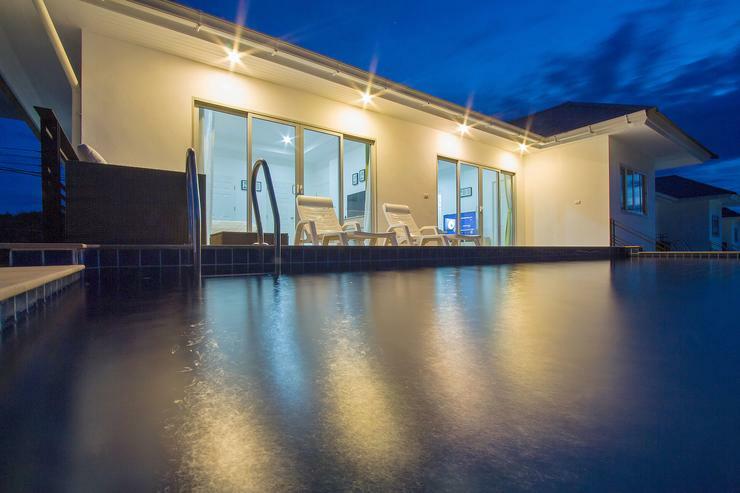 The house has 2 floors: the top floor is home to the pool terrace, open plan living space with kitchen and dining, two bedrooms and two bathrooms. 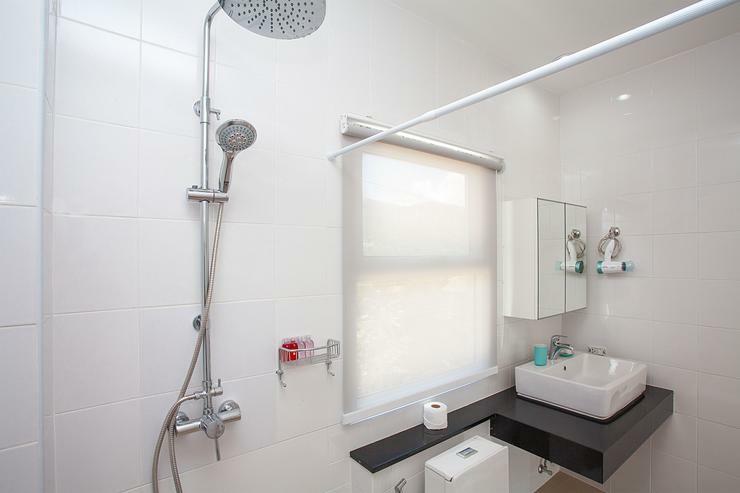 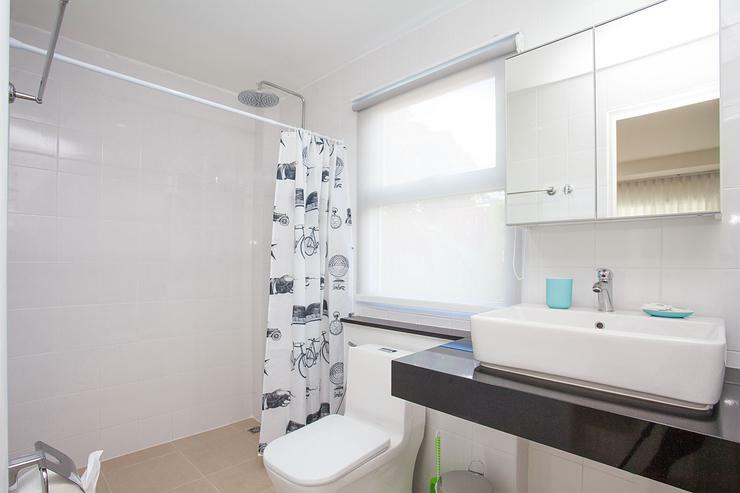 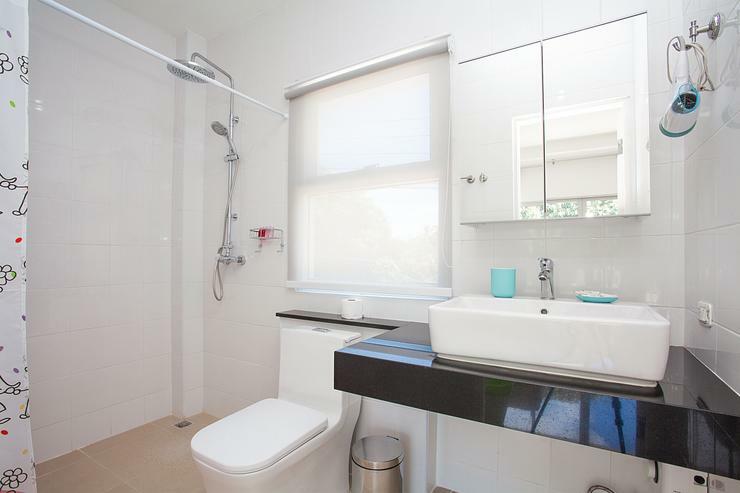 On the ground floor you will find one bedroom with en suite bathroom, kitchen, dining space, and BBQ garden. 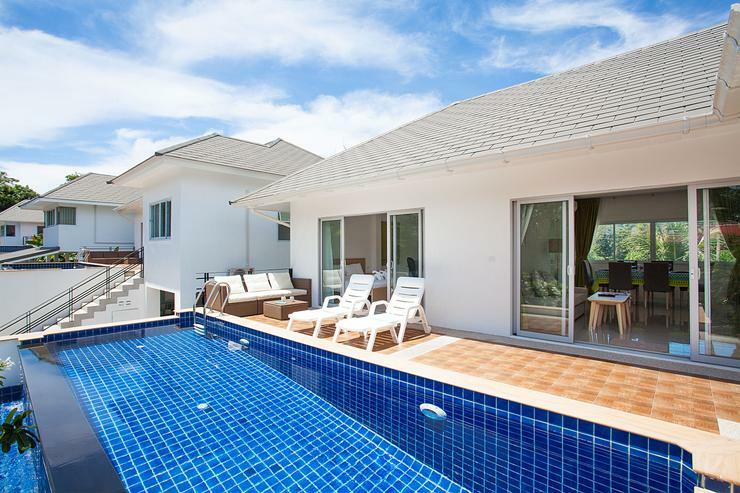 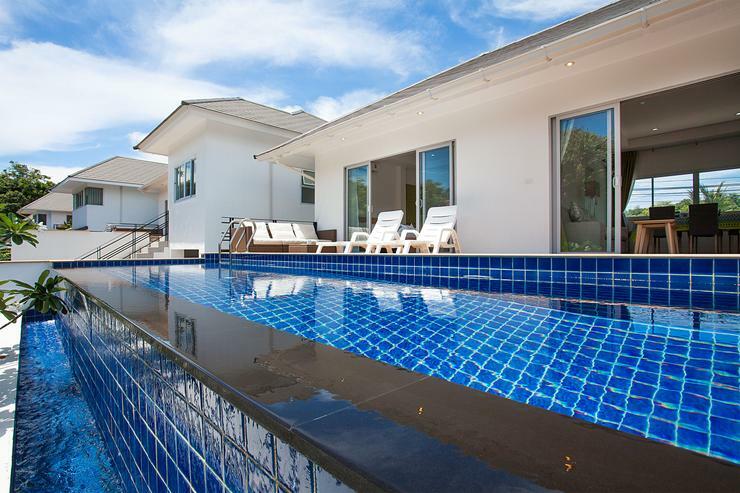 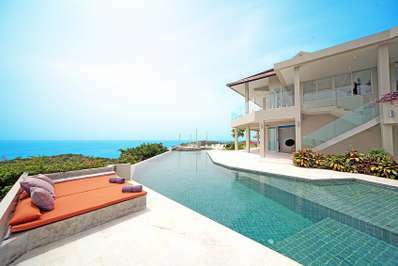 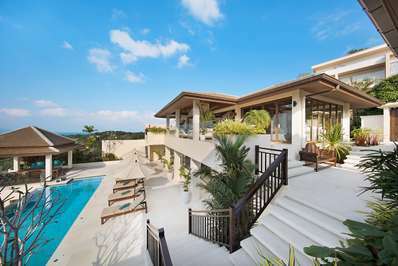 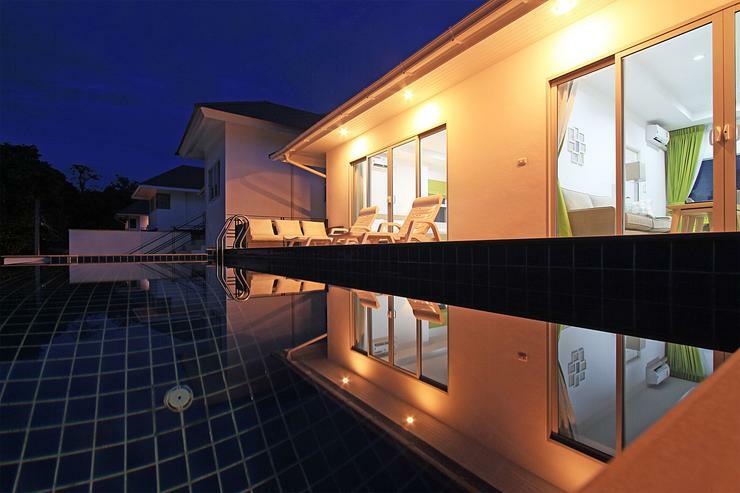 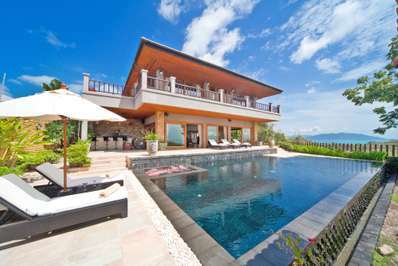 The villa can accommodate a total of 6 people. 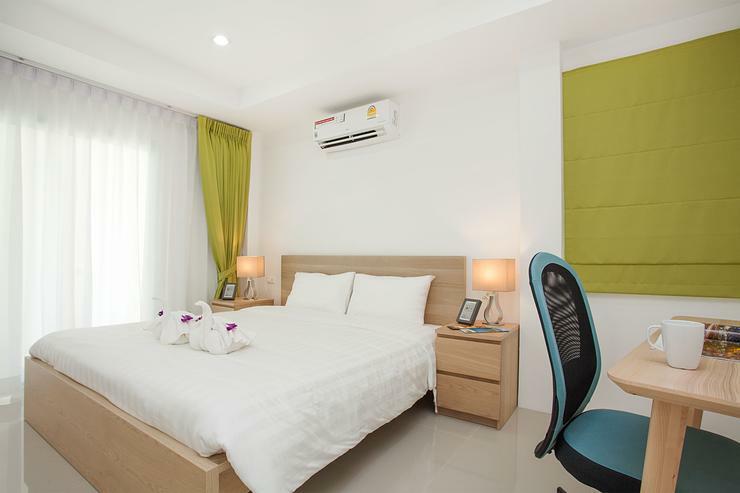 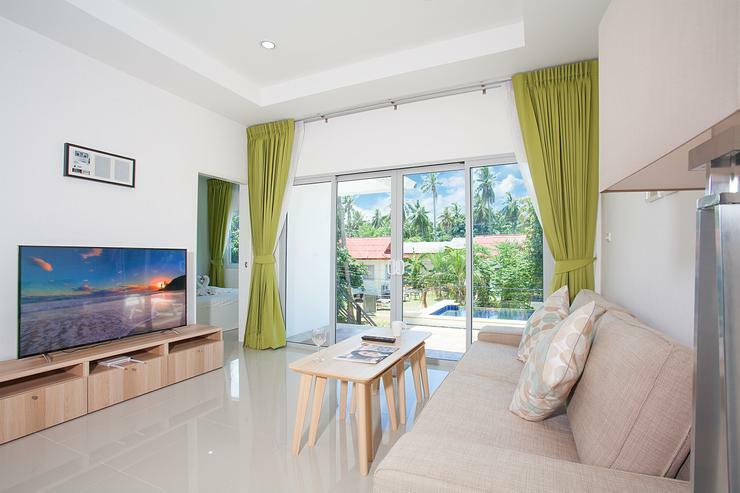 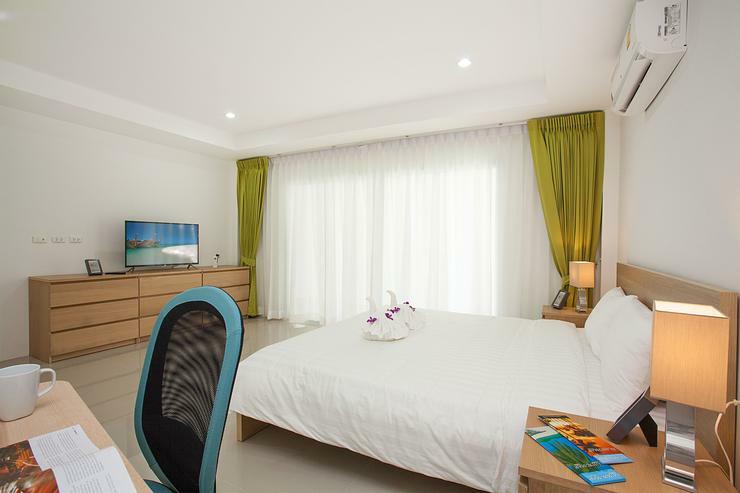 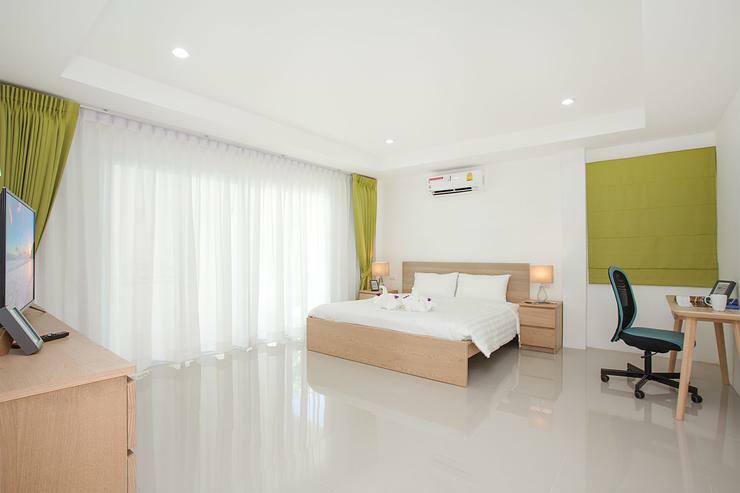 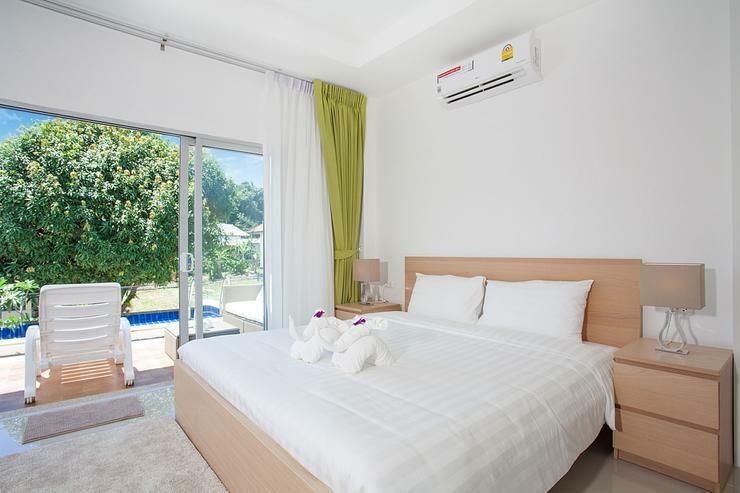 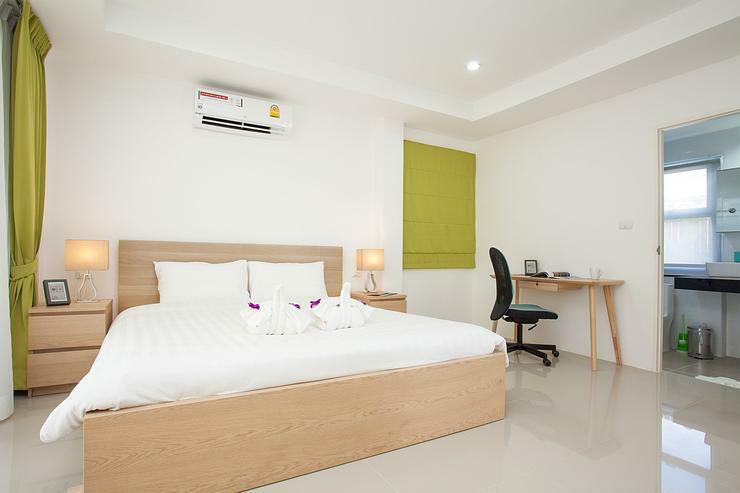 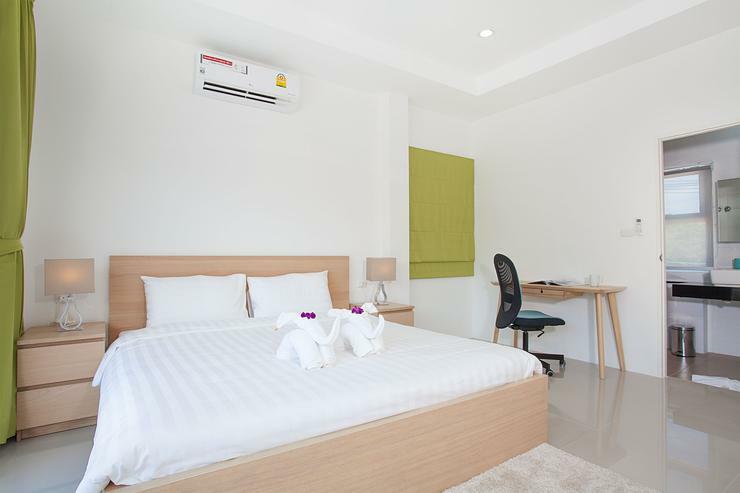 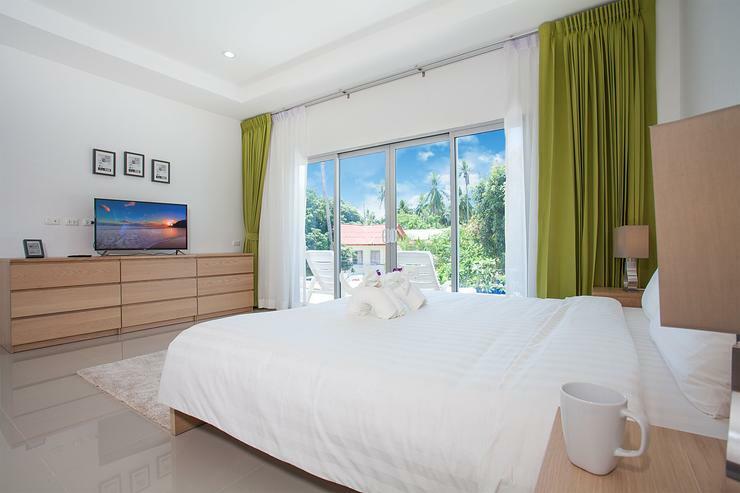 Two of the bedrooms are spacious and with their own TVs and bathrooms; guests staying at the smaller third bedroom can use the guest bathroom in the living room. 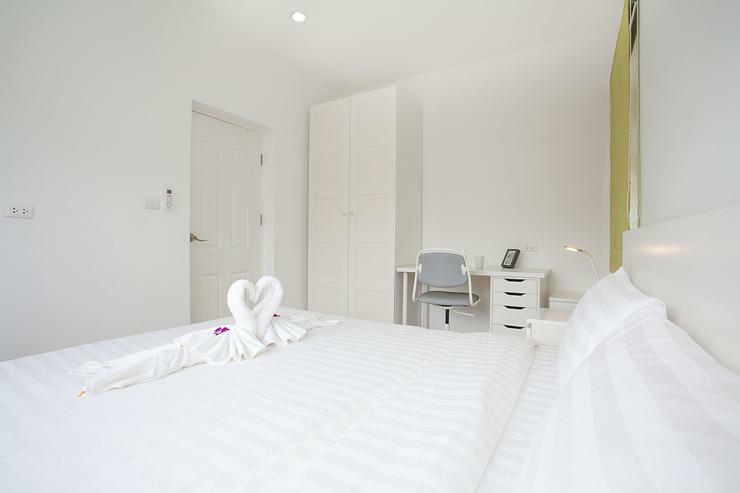 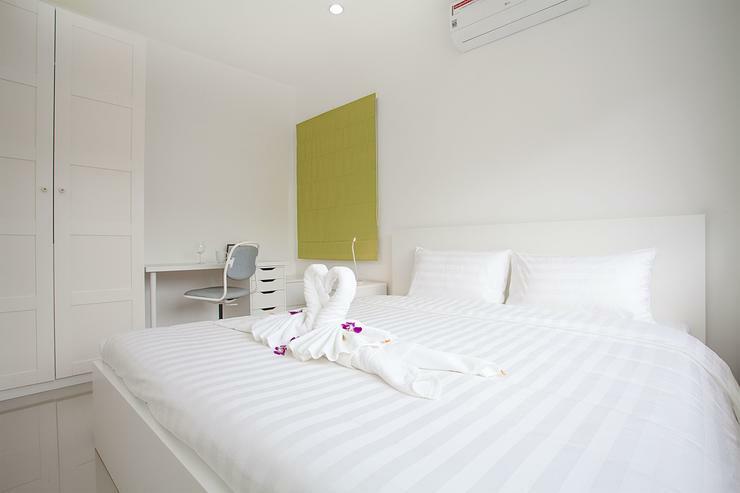 All bedrooms are very homely and each features a small working corner as well. 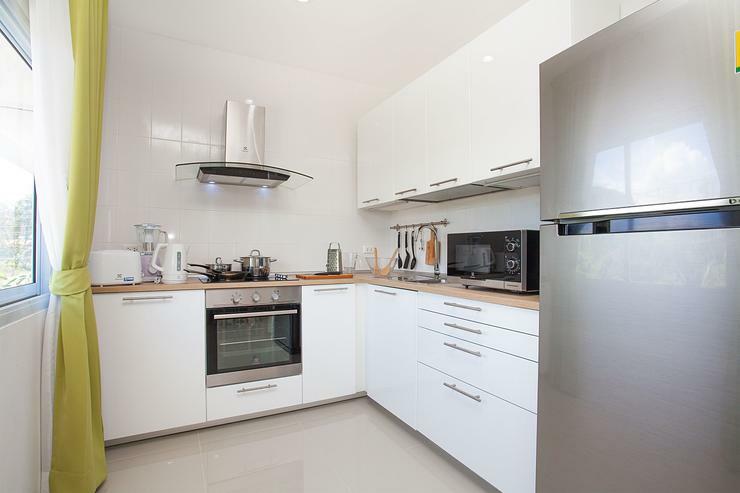 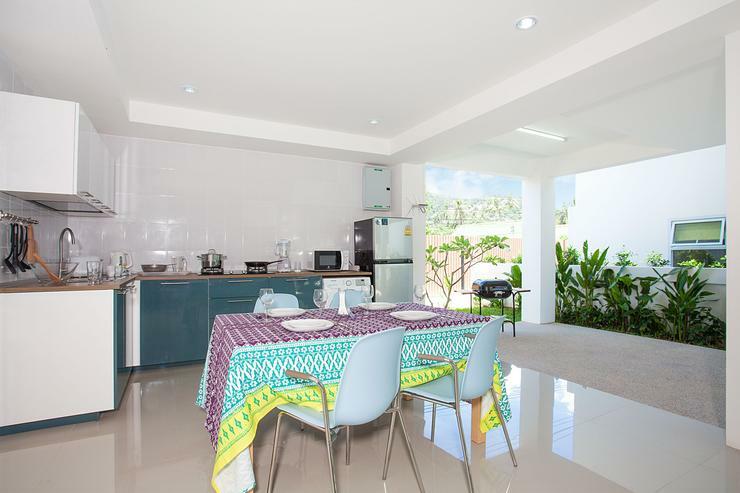 Both kitchens at the villa are modern and with a full selection of dishware and appliances. 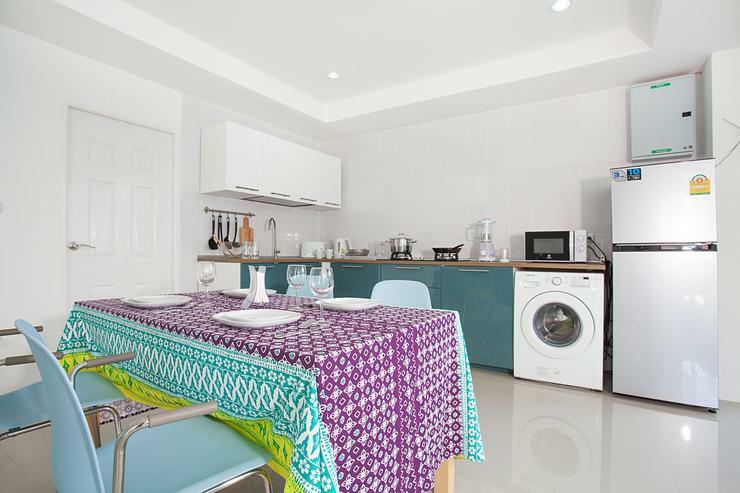 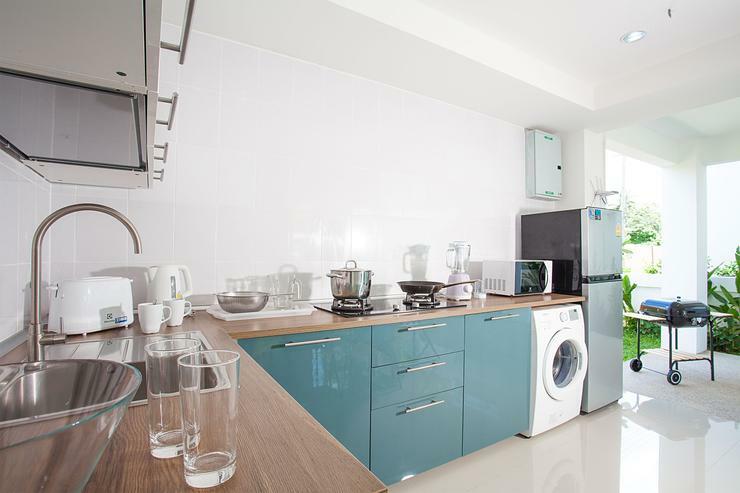 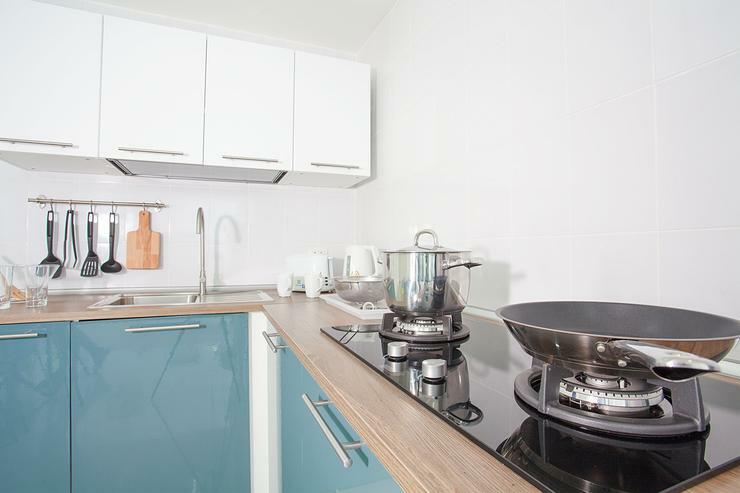 Each kitchen comes with a hob, fridge, microwave, kettle, toaster, and a blender plus one oven. 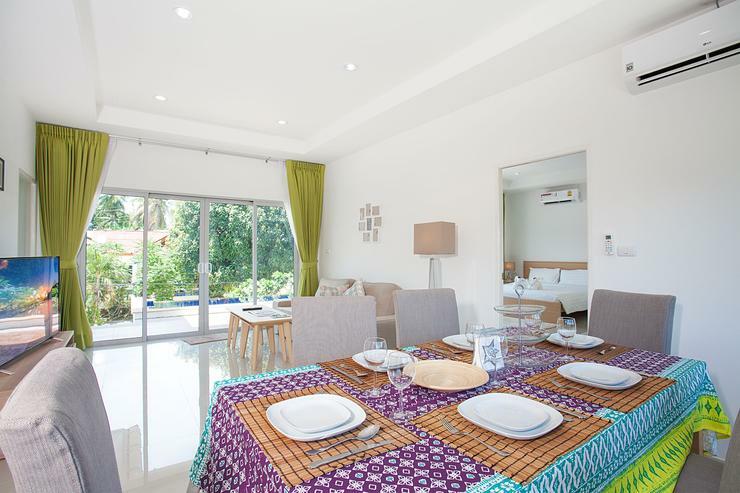 The main dining table is for 6 people while the smaller one can sit 4. 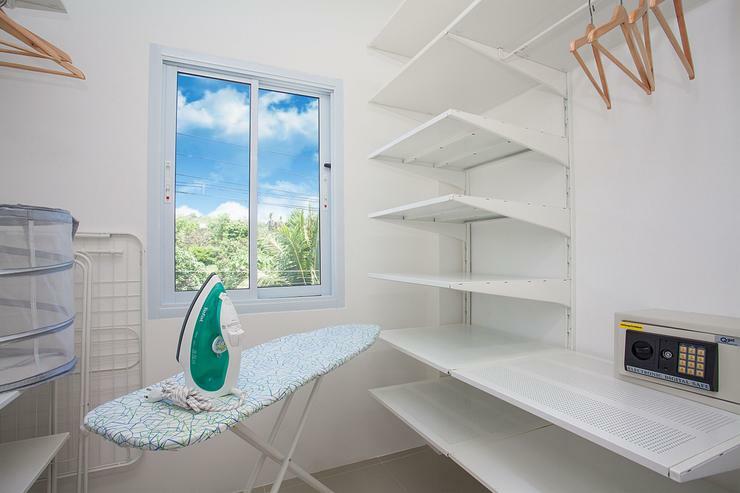 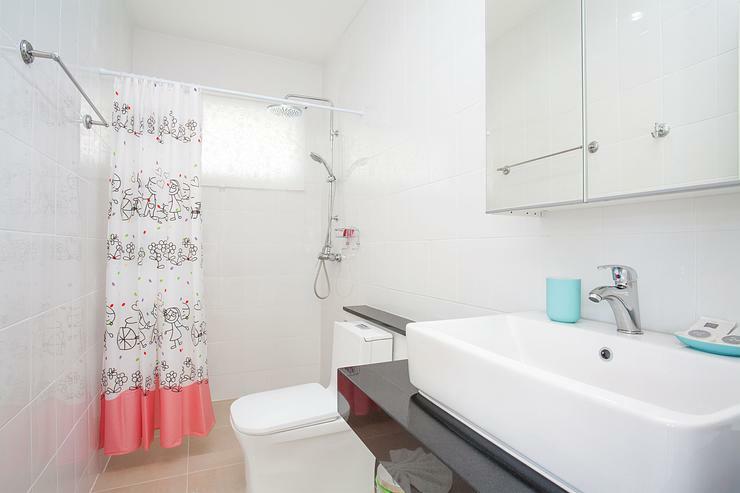 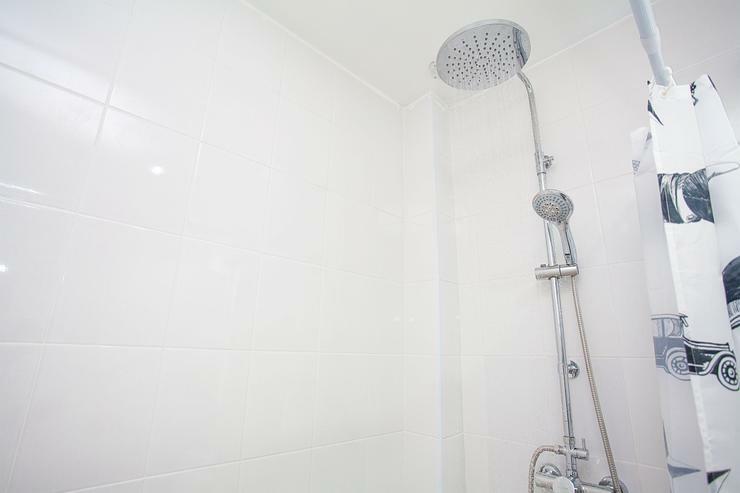 On site you will also find a washing machine, safe deposit box, iron and ironing board, and secure parking. 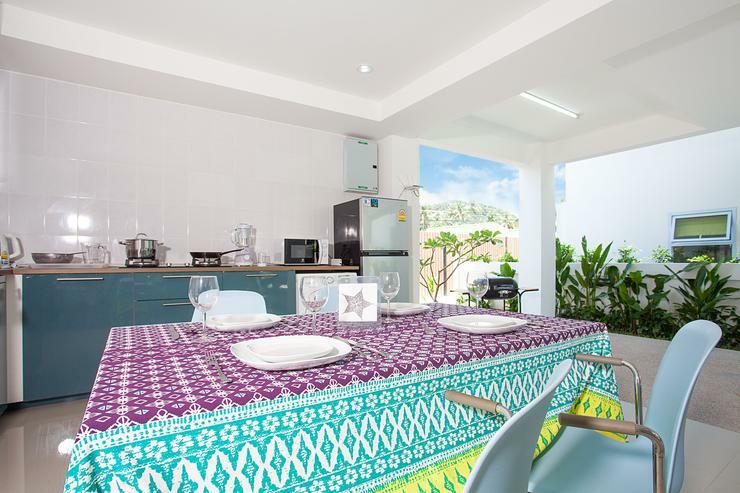 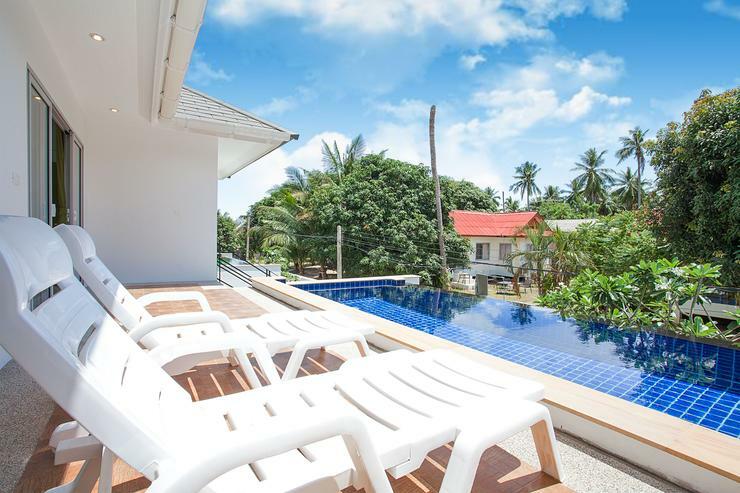 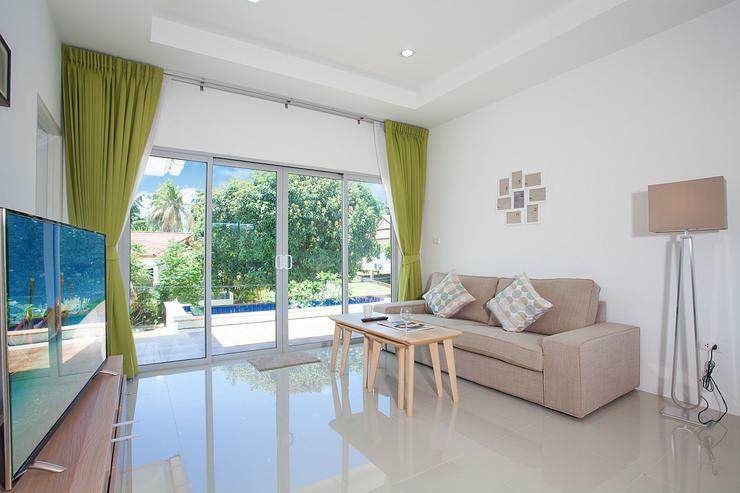 Free Wi-Fi and daily cleaning are included in the rate, and the property the villa is in has several houses of similar style available for rent. 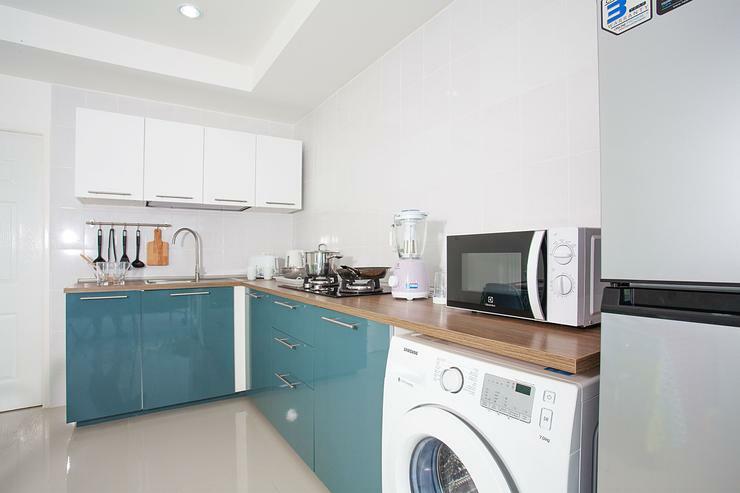 It would take about 10 minutes to walk from the property to Choengmon Beach that is 700 meters away. 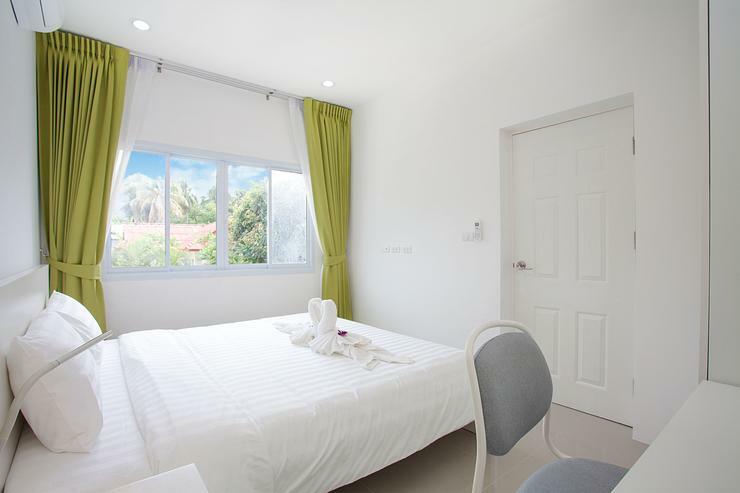 Jungle Minigolf, a fun place for the whole family, is 1.2 km away.